The end of November means one thing. The Christmas shopping season is well underway. But this time of joy may spell trouble for companies suffering some inventory headaches. Why? Some companies spend their first 24 months in the b2c market (especially in eCommerce, and particularly among Amazon Sellers) focused on branding, marketing and sales. Their drive is to get the business on its feet. They defer spending time and a little money on tools that will sustain them to long-term growth. We’ve heard stories of companies selling $1 million to $2 million a year through Amazon, with no idea if they are profitable because they don’t use accounting software, let alone inventory management, to track their bottom line and keep a tight rein on stock. Without the right tools in place, companies aren’t just selling in the dark, they’re facing potential headaches keeping up with orders in the holiday season. Let’s assume you own a small company that sells online. What might be your headaches? The out-of-stock/overstock headache. Effective holiday season planning helps you avoid running out of items too quickly and stocking up on items that don’t sell so well. Customers will take their business elsewhere if they can’t find what they’re looking. And any excess stock will have to be sold at a discount. The best way to find the right stock level is to use reports based on sales data tracked over time. The more work, less efficiency headache. Processing invoices by hand is a pain in the wrist. Even processing invoices in a spreadsheet doesn’t help. Each one can take time, sometimes as long as 10 minutes. An inventory solution that integrates with online sales channels will reduce the amount of time needed to process an invoice to next to nothing by automating order processing. The fulfillment headache. Data entry in the paper/spreadsheet world is not just time consuming, but error-prone and redundant. An inventory management system with built-in CRM and that integrates with your warehouse, third-party warehouse, and your shipping company, will ensure data moves from invoice to packing slip seamlessly and correctly. If these headaches sound like something you’ve gone through before, put the world’s most integrated inventory management software on your holiday wish list. The post 3 Inventory Headaches To Make You Dread Christmas appeared first on Cin7. Ahh, summer. Firing up the coals for a backyard barbecue with friends, dusting off the bat to play beach cricket with the kids, or packing the car for a road trip along the coast. However you like to spend the summer months, and whatever business you run, the festive season is a perfect opportunity to step back and take stock. As a traditionally quiet trading period for many industries, it’s not unusual to hear negative narrative about small businesses struggling over the festive season. Instead, we want to share how small business owners on Xero are taking the opportunity to turn reflection into action – and why it’s the perfect time to do so. So with that in mind, here are some top tips for taking charge of the summer months. 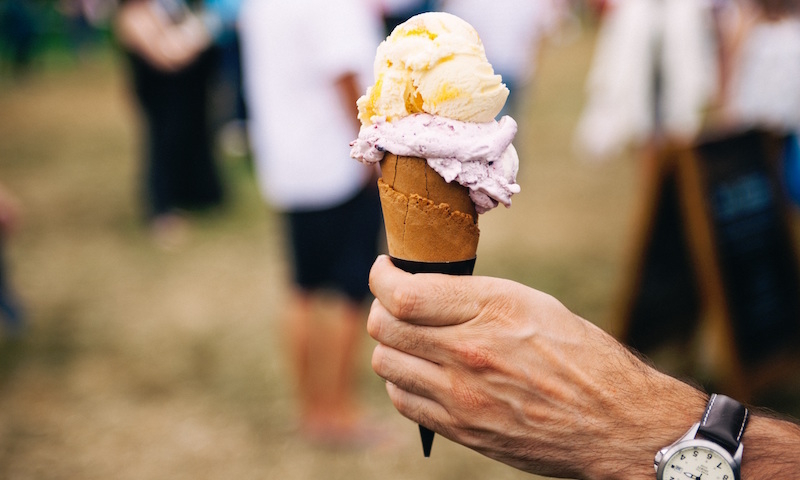 The change of pace in summer can be a good opportunity to review your overheads and see where you can cut back, even if only during the festive season. Ask yourself what overheads you can reduce across the December and January period ahead. This can include non-essential overheads, like pausing a subscription that’s . Perhaps your employees have said they would love an extended summer break beyond their standard leave period. 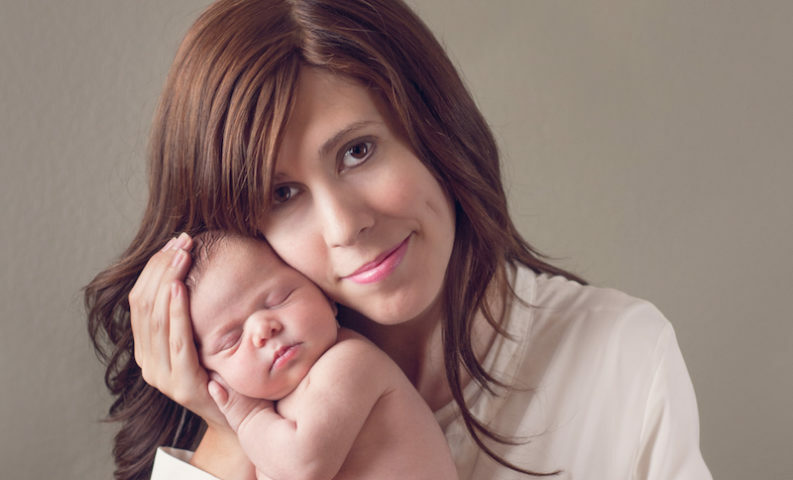 Is voluntary unpaid leave an option? Some businesses choose ramp up sales leading into the break and officially ‘close down’ for a few months. While this can make it difficult to draw a salary over summer, it may prove a useful way to avoid the standard operating costs that are just there to keep the business open. 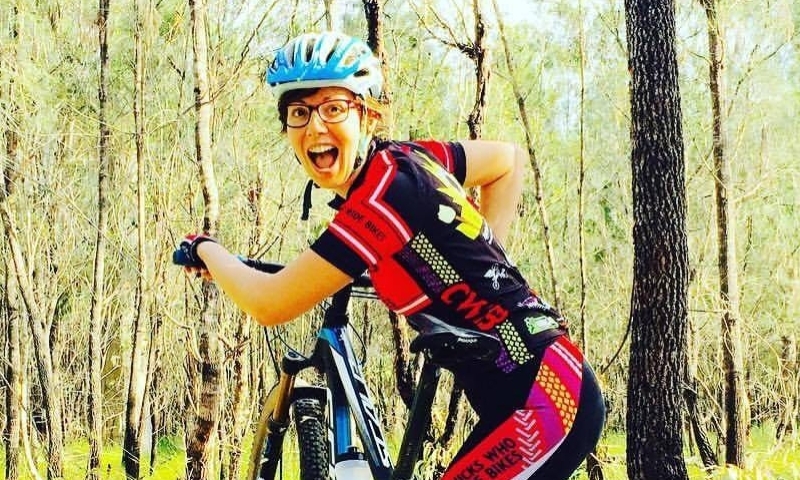 The festive season can also represent a rare opportunity to sit back and take stock, as Jordana Blackman, the founder of Chicks Who Ride Bikes, has found. “I’ve realised it’s so easy to get stuck in your routine or focus only on the stuff you like,” she says. “That’s not good for business. Start as you mean to go on in December onwards. Thirty minutes a day spent talking to your customers, or checking out global best practice, is time well spent at any time of year. Given business is so disruptive these days, your business plan may have changed. This can be positive – reflecting a nimble approach. But stop to reflect on your original strategic goals, to see how well they meet the needs of your current customers. Last but by no means least, the summer period gives you ample time to revisit the numbers. What fuelled your most busy periods? What kinds of customers drove this growth? What led to quieter months? Which products and services outperformed others? How can you better budget over the next 12 months to beat the annual ‘quiet summer period’? This time of year represents a great opportunity to take stock and ensure your business is working for you, as much as for your customers. Remind yourself why you went into business in the first place, and check that it’s still serving those needs well. Sometimes, a little summer perspective can make all the difference. Photos: Chicks Who Ride Bikes; Menucha Korik Photography. The post ‘Tis the season for perspective appeared first on Xero Blog. Service interruptions can be a bummer. We get that. That’s why we built out our infrastructure with such a high level of redundancy and failsafes: to eliminate downtime. It’s also why we’re monitoring our servers 24 hours a day, 7 days a week. In the case of a service disruption, we’ll know before anyone else, and actively communicate with you while making sure all your data is safe. And while nobody’s perfect, we think our track record with uptime is pretty great. None of this means that you won’t experience problems, though. Kounta relies on a network, and there are two parts to this. First, there’s the network of devices inside your shop, connecting with each other over Wi-Fi. These all go through your router to connect to the public network—what we refer to as the internet. Think about it like the water connection at your home. Your local network is made up of all pipes inside the house; they connect all the fixtures to each other. The public network is the infrastructure that exists outside your house, while your data is the water that flows through those pipes. If you turn on the faucet to your kitchen sink and no water comes out, that doesn’t necessarily mean that the water has stopped flowing all over town. The problem could be the connection to your sink. You won’t know until you investigate further. It’s the same thing with Kounta. If you’re not getting data, the problem could be anywhere along the pipeline. Where that could be is a mystery, but it won’t take a plumber to solve it. You just need to start your troubleshooting at the the device where you experienced the issue—then slowly work your way back along the path. Issues aren’t always at the register level. Let’s use an iPad-based register as our example. If Kounta isn’t responding on it, try accessing the service from another device. If you hop over to your backup register and all is working fine, there may be an issue with your iPad(register) specifically. Try turning it off and then back on again. That might sound like a joke (and it is), but some things are funny because they’re true. If that doesn’t work, you’ll need to go more in depth troubleshooting the device itself. Check out our device level checklist. During outages we store data in the local cache on your device so that you can continue to trade offline. This will sync back to the cloud once you get back online. Make sure not to un-install the app as part of your testing. A good next step is to try logging into Kounta using a browser on your first device, just to see if there’s even an internet connection. The problem might exist at the network level. Another possible way to test this is to try and access Kounta using a different network. If you’ve got a smartphone with a cellular data connection on you, that’s perfect. Try logging into Kounta from it. If you can access the service over cellular, then you can safely say the problem is with your network connection—though we still don’t know where. It could be on your side of the modem-router, or it could be on your provider’s side. Check the status lights on your modem-router. There should be lights indicating whether you’re online or off. It’s usually a pretty straightforward display. A solid green light means you’re connected, and anything that’s amber or red and possibly blinking tells you there’s a problem. Refer to your modem-router’s instruction manual if you’re not sure what you’re looking at. If you find you’re not connected to your service provider, try turning the modem off and then back on again. While you’re at it, check every physical aspect of your network (see the Physical Layer Checklist here). If, after restarting, the modem-router doesn’t reconnect with your service provider (and you’ve checked that all cables are connected), you are probably looking at an issue with their service. Time to dial them up and work with them to restore the connection. If you’re experiencing regular network issues, it may be time to consider upgrading your modem-router. Often the free modem-router combos provided by ISPs are residential grade and inept to provide the level of support a business needs. After the modem-router comes back online, give Kounta a try again. If it’s still not working, double check that your setup conforms to Kounta’s best practices for networking. It doesn’t matter if you referred to this when you first set everything up. Things change over time—items can get moved, or new wireless interferences can be created. Once you’ve verified that all your equipment and installations are up to snuff, and that your connection to the internet at large is working, and you still cannot access Kounta—definitely get in touch. Reach out by sending us an email at support@kounta.com. Chances are, if the problem is on our end, we’ll already know about it and can give you quick answers to either fix it or set expectations. If we’re still figuring it all out, all this work you’ve done beforehand will be a tremendous help since we won’t have to spend any time poking around where the problem isn’t. The post Kounta Not Working? Some Quick Troubleshooting Tips appeared first on Kounta. Technology is constantly evolving and innovation sits high on the national economic agenda. But what has really changed for small businesses? When push comes to shove – when you’re contending with summer holidays, kids underfoot, skeleton staff, seasonal opportunities and taking the time to look toward 2017 – what technology evolutions can you lean on to make this summer even better than the last? What is it? The adoption of cloud technology. We’re moving away from site-dependent systems into accessible, connected platforms. Why does it matter to small businesses and their advisors this summer? Mainstream adoption of the cloud works in favour of small business. They can thrive off its nimble, flexible and connected ecosystem. As the cloud becomes a ubiquitous part of life, small businesses can more easily connect to others. They can leverage rich sources of data, manage remote teams, collaborate with advisors and use an ecosystem of business apps – from anywhere. Who doesn’t want that flexibility during the summer season? What is it? Bank feeds let small businesses and advisors automatically import account transactions into a cloud accounting service, like Xero, from their bank or other financial institution. Once bank feeds are up and running, you no longer need to download and import bank statements to get transactions into your accounting service. How has it changed this year? It’s easy to gauge the current pace of change when you consider that some accounting services still only offer monthly bank feeds. 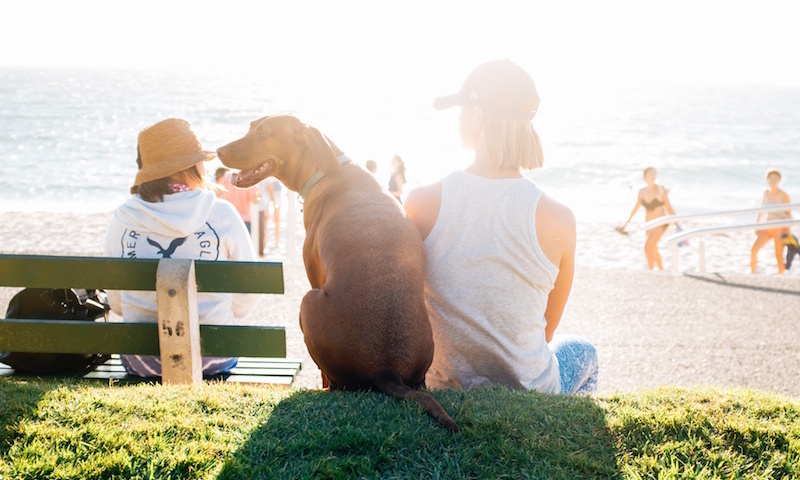 Soon, Xero will have access to daily direct feeds for some 100 financial institutions in Australia, meaning it’ll be connected to 98% of the banks that Aussie small businesses prefer to bank with. This technology shift is happening right now. Why does it matter to small businesses and their advisors this summer? We have started to expect bank feeds as a standard feature from our bank — in real-time, anywhere, on any device. Consider the impact that this transparency can have during a period of change, such as the summer holidays, when typical sales trends may be upended. Already, you’re looking at access to more accurate business insights and a broad range of financial services. My advice would be to see if your institution supports bank feeds, and see if it saves you time. What is it? The evolving collection of third-party apps that integrate into one key operating system — like the iPhone App Store or the Xero App-Marketplace, for example. How has it changed this year? The beauty of third-party app ecosystems is that they’re always evolving to respond to market needs. No matter your industry, from retail to construction, or the type of help you’re after, from CRM to time tracking — you can find an app to give your business some extra muscle. This year, we redesigned the Xero marketplace to make it even easier for small businesses and their advisors to find the right app for their unique business needs. Why does it matter to small businesses and their advisors this summer? Whether you’re engaging in seasonal-specific activities that alter the business apps you require or taking the time to focus on your reports, figures and processes in the run up to 2017, you want choice. Xero customers can choose from more than 500 time-saving apps for business. Don’t like it, found a better one or don’t need it anymore? Change it. The idea is to build the ecosystem that works best for you. What is it? Sometimes technology exists that can solve your problems, but it doesn’t integrate well with other existing systems. This creates a the barrier to achieving what you want. Technology companies can change this with key partnerships that power-up their service. How has it changed this year? A good partnership reflects a current need, which means a lot can change in a year. Take Square, for example. Xero expanded its long-­running global partnership with Square to Australia this year, making it easier for small businesses to accept card payments wherever they are. Square’s technology enables businesses to sell to anyone, anywhere with a card. That means in­-store, at a pop-­up market, or on the side of the road. By integrating with Xero, a small business doesn’t need to manually enter data or ensure their accounting lines up with their point of sale. It’s all there at a glance. Why does it matter to small businesses and their advisors this summer? No matter what your summer strategy is, newly connected technology offers opportunities and efficiencies that are worth investigating. Whether your summer strategy is to set up shop at a Christmas market and use Square and Xero, or you’re going to sit down and work out your plan of attack for the year ahead. As summer draws in and business conditions shift, prepare yourself for the year ahead. Try using some of the latest time-saving technology to your advantage. The post The real technology gains helping small businesses this summer appeared first on Xero Blog. While big retail chains dramatically reconfigure their legacy investment in brick-and-mortar locations, pure-play eCommerce companies are figuring out how to get physical. It isn’t just that people still tend to shop more in stores than online. Physical interaction with a product in some sectors is essential. What does that fabric feel like? What size will fit me better? Is that furniture as comfortable to sit on as it looks? Thus, some companies that were once pure-play digital suppliers are taking advantage of retail outlets, while traditional retailers are closing stores and expanding online offerings. This reconfiguration isn’t just adding sales channels for pure-play sellers. It’s part of a trend where the distinction between a wholesaler and retailer is not so distinct. New York City-based Casper is a case in point. The two-year-old brand is well-known as a pure-play digital purveyor of self-inflating mattresses. The eCommerce model kept their initial costs low, and the airless, pre-pumped state in which the mattresses ship to customers made order fulfillment less expensive. Now Casper appears to be setting up a “fleet” of brick-and-mortar sites after test-piloting the concept with pop up stores in New York, Los Angeles and London. The company hasn’t announced the number of stores it plans to open, but the plans seem part of Casper’s move from pure-play digital into a mix of eCommerce, retail and wholesale. The company has inked a deal to sell through retailer West Elm, and according to one article, Casper is hiring a manager to develop a wholesale business. If Casper is any example, markets are shaping up to favor companies that are not “pure-play” anything. According to Inside Retail magazine, pure-play eCommerce retail makes up a fraction of sales compared with omnichannel sellers, and the omnichannel can easily include brick-and-mortar, wholesale trade, online marketplaces and websites. The more channels a company trades through, the greater the need to reign inventory for keeping stock levels and COGS low, managing sales online and in stores, and optimizing order fulfillment from warehouses and 3PL locations. The post The Age of the More Than Pure-Play eCommerce Seller appeared first on Cin7. Today we launched Xero HQ, our new platform for accountants and bookkeepers. Xero HQ is the result of over 12 months of development and it forms a core piece of our new offering to our Xero partners. The next evolution of My Xero Partner Edition, Xero HQ is designed to be the new hub for practices and their staff, delivering the information they need when they need it. We have developed the platform in collaboration with selected partners under a closed beta and today’s release of the Xero HQ opt-in is the next step in our journey. One of our core objectives is helping your practice grow. To achieve this, we’re equipping you with the tools you need to better manage your clients, and unlock the insights you need to provide more advisory level services. The Xero HQ opt-in beta release, available from today, delivers a set of new features designed to do this. Take advantage of alerts in the activity feed to manage your sales tax, bookkeeping work, and day-to-day client administration. 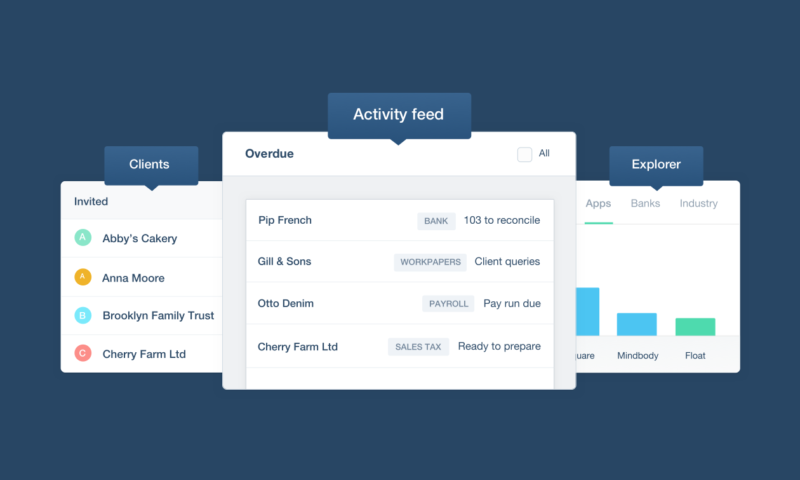 The activity feed will help you save time by showing you the items that need your attention. No more digging into your clients’ Xero files one at a time. The new client list makes it possible to have all of your clients in one place, even those that aren’t on Xero. Better yet, if you’re a user of Xero Practice Manager, you can sync your client information with Xero HQ. No more duplicate data. The new client list also offers better grouping for relationships and business structure, the ability to record all of your clients’ contact and tax information, and the power to keep notes on your clients in the same place. With the new Advisor Directory launching in December, you can take control of how your practice is presented to the world. In Xero HQ your listing is entirely in your control so you can make updates whenever you please. A huge part of this is the industry’s your client base works within and how they’re mapped, so make sure you’ve reviewed and updated these in explorer. We don’t believe you should have to use one product to run your business, and that by working together in partnerships we can deliver a far more efficient and flexible practice solution. The good old monolith days are gone. We now live in a world of integration, powered by our ecosystem partners. Our goal is to facilitate a seamless experience as you work with the systems of your choice. Choice is good. Choice allows you to run your business the way you want, without being limited by the capabilities of a single product. A new set of APIs will be made available in 2017 to curated Xero HQ App Partners, connecting them to Xero HQ to provide an integrated ecosystem of best-in-breed tools for the accounting and bookkeeping industry. We believe this innovation will completely change the way accounting and bookkeeping businesses have traditionally operated. Xero has helped unlock real efficiencies for businesses working with their clients via our ecosystem of over 500 apps. With Xero HQ as a platform we are bringing that same experience to our accounting and bookkeeping partners, unlocking more efficiencies, helping your business thrive the way you want it. As an opt-in platform, Xero HQ will continue to evolve as we bring features across from My Xero Partner Edition. Soon you can expect to see more integration with Xero, easier access to information and resources to help you grow your practice and a complete revamp of staff and permission management. We will also be building more integration with Xero Tax for our customers in Australia and enhancing the type of alerts you see in the activity feed. And of course, we will be announcing partners for integration into the Xero HQ platform so that you can begin to pick and choose which connections you need to run your practice the way you want. It’s just the beginning for us, and we can’t wait for you to join us on this next part of our journey. Opt-in today and let us know what you think. We’re listening. To find more information see www.xero.com/hq or visit our help page. The post Xero HQ is here! appeared first on Xero Blog. Today marks a big milestone for the Xero partner program. 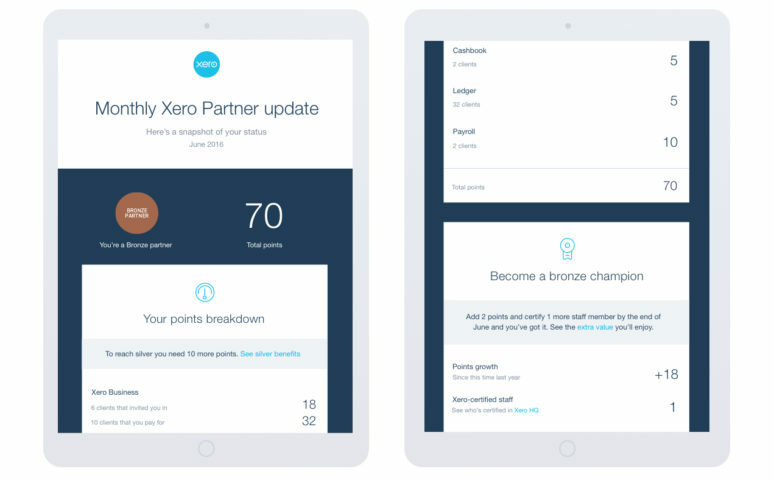 Xero partner status level information is being updated to show the new points-based system and there’s only a few days remaining before the enhanced partner program goes live. All partners will be transitioning to the new global system on Monday, December 5th, so now is an ideal time to get familiar with how it works. Here’s a low-down on the new thresholds, how the points are allocated, and other important factors, such as the new Xero Champion status & Partner Points Monthly Statement. Pioneered in Australia, the points system provides new ways for partners earn points through Xero Business and Partner edition plans and subscriptions. Here is a snapshot of the number of points allocated for the Business Edition and Partner Edition plans. Once the program improvements go live, you’ll receive points when your clients invite you into their Xero subscription as an advisor and they pay the subscription, or when you pay the subscription. We’ve also added new ways to earn points through Xero Cashbook, Xero Payroll, Xero Premium edition and Xero Ledger. The points guide in the partner agreement provides an overview of how these points work and you’ll find all the benefits offered in partner status levels. From today, all Xero partners will be notified of their new Xero partner status under the new points system. If you haven’t already received an email for your practice, you can expect it in your inbox soon. For some partners, the move will mean an immediate increase in status – especially those with a number of Business Edition Xero clients. We’ll be working with partners to ensure the move is positive and create a plan for those who want to achieve greater status and growth. One example of the information and support available to partners is the new monthly partner points summary statement. The monthly update shows your partner status, number of points, certifications, distinctions and partner benefits. Your main Xero contact (principal or practice administrator) will automatically receive a statement in the first week of every month which summarises the points calculated from the month prior. In September, we announced that Xero Champion qualification would require two Xero-certified staff members for Bronze and three for Silver, Gold and Platinum. After working with partners in every region on what qualifies partners for the level-up demonstration of Xero knowledge, we are going to adjust this criteria and include two additional certifications. Partners with three or more team members — no change to what is required to qualify. The two additional certifications will include: (1) Xero Payroll, and (2) Xero Client Setup/Implementation. Our education colleagues are building the content and certification in collaboration with partners, and will continue to refine this work. When these certifications are released, the revised Xero Champion criteria will become effective. 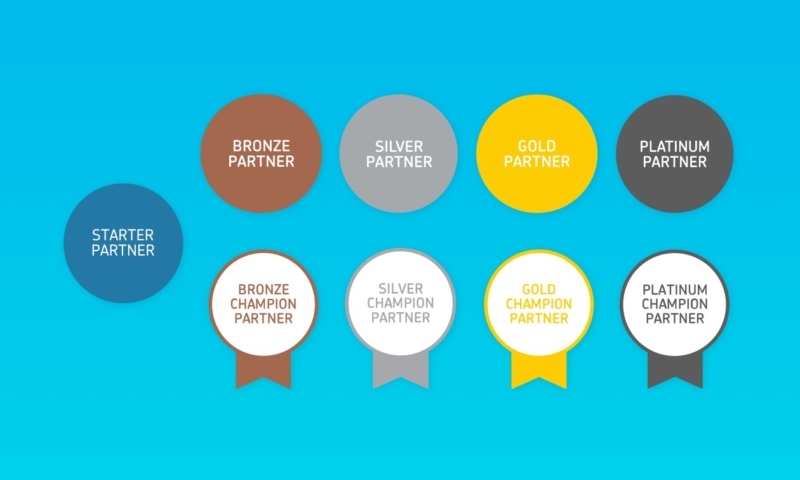 In the meantime, the criteria for Xero champion status will remain as two Certified staff for Bronze and three for Silver, Gold and Platinum. We will update you have an update on timings for these new certifications early next year. In the meantime, check out the updated Xero partner status level information and keep an eye out for the email outlining your practice details. The post All you need to know about your Xero partner points appeared first on Xero Blog. Start by mapping out your store – Planning for crowds will be so much easier if you have a visual aid. If you haven’t done so yet, create a store map and use it identify entrances, exits, and other important spaces. Doing so will also help you plan how to manage traffic flow, where to place fixtures and equipment, and where to position your staff. 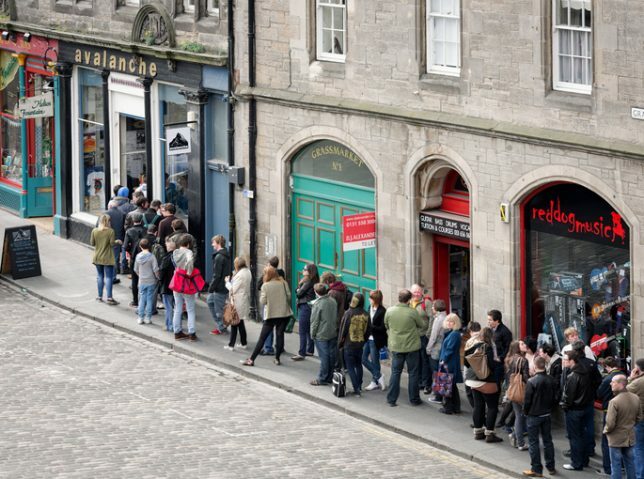 Devise ways to keep your store from being overcrowded – Take note of your store’s maximum occupancy and ensure that you stay within its limits. Some retailers have found success by implementing staggered entry during busy shopping events. These stores would only allow a certain number of people in the store (e.g. 25 a time) to ensure that the space doesn’t get too crowded. 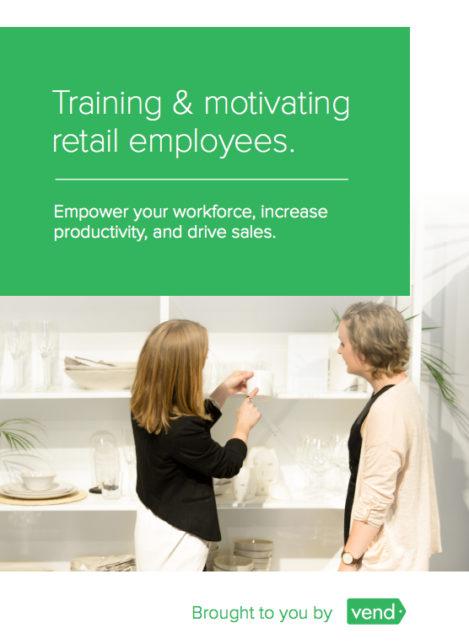 Equipment – Once you have an idea of how to control in-store traffic, see to it that you have all the materials to help you carry out your plans. Depending on what you’re implementing, these could include signage, stanchion ropes, wristbands, surveillance tools, etc. Do you have enough people in your team to handle the rush? If not, you may want to start hiring seasonal employees. The roles that you hire for will depend on your company. Some retailers may need to bring in additional cashiers, while other stores may require additional security personnel as well. Conduct background checks – Screen potential hires thoroughly. In addition to the usual application and interview process, conduct background checks on potential hires — especially if they’re going to handle sensitive information. Stay on top of inventory counts – Doing regular inventory counts not only helps you stay on top of your stock , but it also reduces theft and shrinkage. Strive to physically count your inventory on a regular basis, so you always have a handle on what you have on hand. Need help counting your inventory? If you’re a Vend customer, you can use our Partial and Full Inventory Counts functionality to stay on top of all your stock-taking needs. Alternatively, you can check out Counter, an app that lets you perform inventory counts, stock takes, and partial counts straight from your iPhone, iPad, or iPod Touch. You can scan all common barcodes straight to a spreadsheet! Download it for free here. Your retail tech stack (i.e. POS, payment terminals, readers, scanners), as well as any loss prevention tools you may have (i.e. surveillance cameras, foot traffic analytics, security tags), must be all up-to-date for the holidays. Watch out for equipment tampering – Inspect your POS equipment, credit card terminals, and PIN-entry devices for any signs of tampering. Such signs may include broken seals, missing screws, extraneous wiring, or additional labels that might hide indications that the device has been altered. Physically secure your POS – Make sure your checkout area is secure. Keep valuable information away from prying eyes by positioning your POS, card terminals, and screens for maximum privacy. Secure your POS network – In addition to beefing up your physical POS space and equipment, ensure that your network is just as secure. One important thing to do is to run your POS system on a network separate from your guest Wi-Fi. You also want to make sure you encrypt network data, so traffic and activities aren’t visible to anyone else. The post The 5 Things You Should Do ASAP to Keep Your Store Safe and Secure for the Holidays appeared first on Vend Retail Blog. You have a burning business idea; you may even have a business. The concepts are there waiting to come to life, but you are only one person. So how do you grow with integrity? How do you take your business to the next level, knowing you have the tools stay on course? That was the question Xero Australia’s MD, Trent Innes, was asked to explore at Collective Hub’s Kick. Start. Smart event in Melbourne, a one-day inspiration bomb designed to aid entrepreneurs. The line-up included speaking sessions from Daniel Flynn of Thankyou, artist and TV personality Natalie Bassingthwaighte, and The Collective’s own Lisa Messenger – three big minds (and Xero customers) with career-defining advice about doing things differently. “I’m not an entrepreneur,” Trent said when he got up on stage. “I’m not the person that went out and started a business — and that takes guts, there’s no doubt about it. But what I do know is how to build a great team.” Trent joined the Australian team when it was 30-people strong and now leads more than 300 people. So what was his answer? It’s all about the company you keep. Trent started by telling a fake story about how he excelled at university, landed the job of his dreams, made millions everywhere he went, and was begged to come to lead Xero Australia. “In truth, I made many mistakes along the way and didn’t work out what I really wanted to do until I was in my early 30s,” he said, as the room heaved a sigh of relief. “I can still remember when it happened. I was sitting in a room while Steve Vamos, the Managing Director at Microsoft at the time, spoke about purpose,” Trent said. “He didn’t talk about numbers – he talked about why the business was doing what it was doing and the impact this could have on the community at large. That moment changed the trajectory of Trent’s career – and turned that moment with Steve Vamos into a long time inspirational goal. A mentor can transform your career, if you find the right person. Look for someone who shares your values and purpose – and who you can talk to like a human, without feeling overawed. A mentor should be someone who can listen, and inspire and motivate you to achieve your goals. 20% more likely to get a payrise. 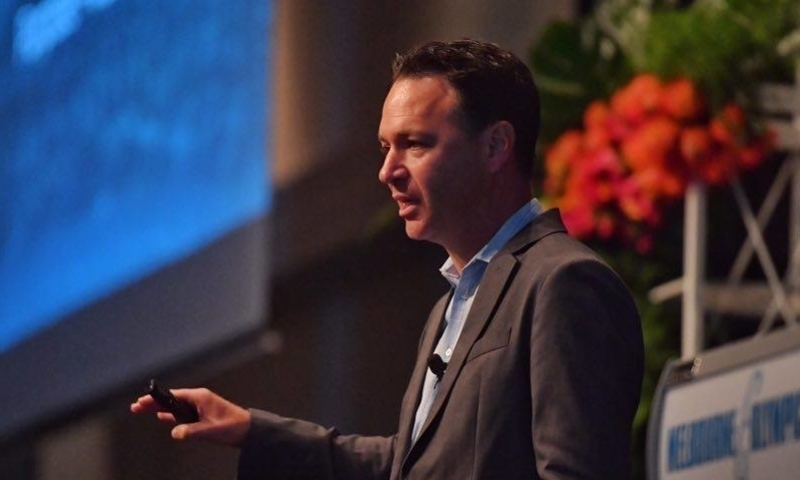 Despite the fact that Xero Australia is almost 300 people strong, Trent still interviews every new starter – even if that means holding six or seven 30-minute interviews a week. And throughout all these interviews, Trent is asked one thing time and time again: What will you do to develop my career? Find a mentor, drive your journey, take some risks and build relationships. And, importantly, never give up. The post The company you keep appeared first on Xero Blog. Will You Be Selling Through Big Retail Online Marketplaces? A good number of US retail chains are taking a page from the Amazon playbook by turning their eCommerce sites into online marketplaces. Home-goods chain Crate & Barrel, big box retailer Wal-Mart, and traditional department store Macy’s recently joined hundreds of other retailers in this online marketplace trend, according to recent reports. Amazon became what it is―a one-stop shop for hundreds of millions of customers―by using third-party sellers to increase offering to hundreds of millions of available items. Half of what Amazon sells is from third-party sellers. Thus, in addition to selling without the overhead of operating physical stores, Amazon earns revenue without the added expense of keeping much of what it sells in stock. 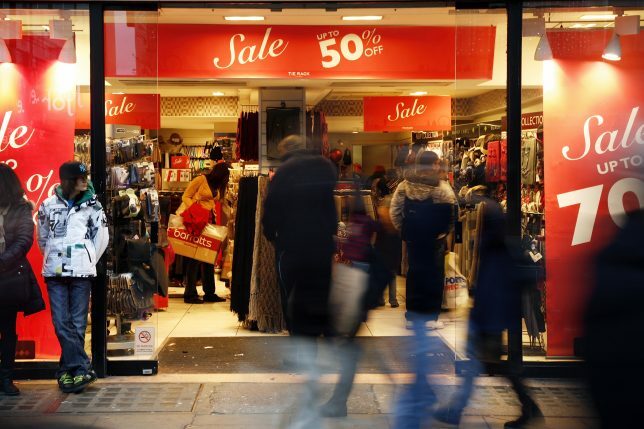 Retailers adopting what might be called a “branded online marketplace” apparently hope to replicate the success of revenue generation without the added overhead. The German-owned Crate & Barrel launched the marketplace after it attempted to expand its eCommerce catalog by buying many new products. That move tied-up working capital in excess inventory that took up space in distribution centres better reserved for products they knew would turn over. The strategic impetus behind this kind of strategy implies a greater collaboration between retailers and suppliers than general online marketplaces. A retailer trades its brand recognition and selected customer base―Crate & Barrel customers will only shop on its site if they are looking for home goods―for a wider selection of products. A supplier carries the cost of holding inventory and order fulfillment in exchange for a groomed sales channel. Crate & Barrel’s marketplaces appears to emphasize exclusive “curated” products from both new and existing suppliers, and new categories to complement existing product lines. The merchants select what they want to sell online and drop ship the orders. The retailer takes a risk that problems with products or fulfillment will reflect poorly on their brand. If this trend does become commonplace, suppliers will have another sales channel opportunity with an ever greater need for full-view, realtime inventory control. The post Will You Be Selling Through Big Retail Online Marketplaces? appeared first on Cin7.